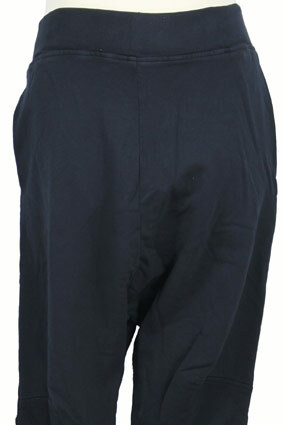 Rundholz Dip Collection over-dyed, stretch sweat-style fabric, low-crotch, cut-off trousers in Dark Navy colour. 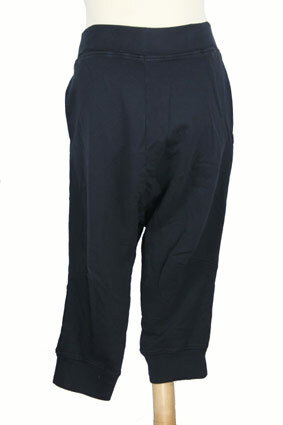 Fine ribbed elasticated waist and leg hems. 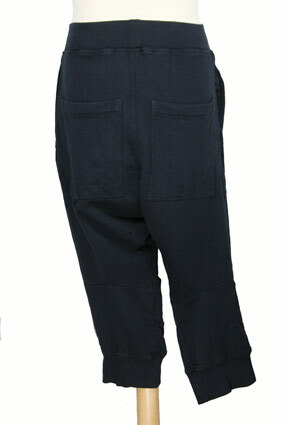 2 side pockets and 2 large patch pockets at the rear. Panel and seam details throughout. A substantial weight fabric.